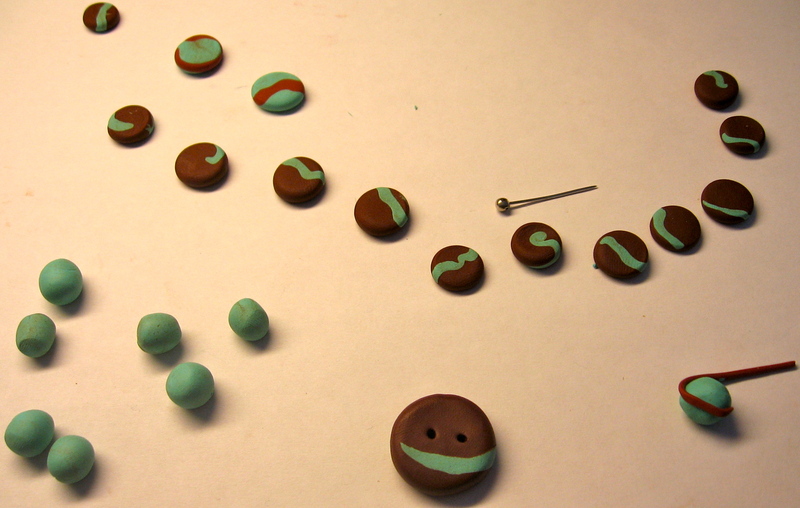 Here’s some more fun with Sculpey Clay and a great project for helping your little one with fine motor development. I made some beads ahead of time. 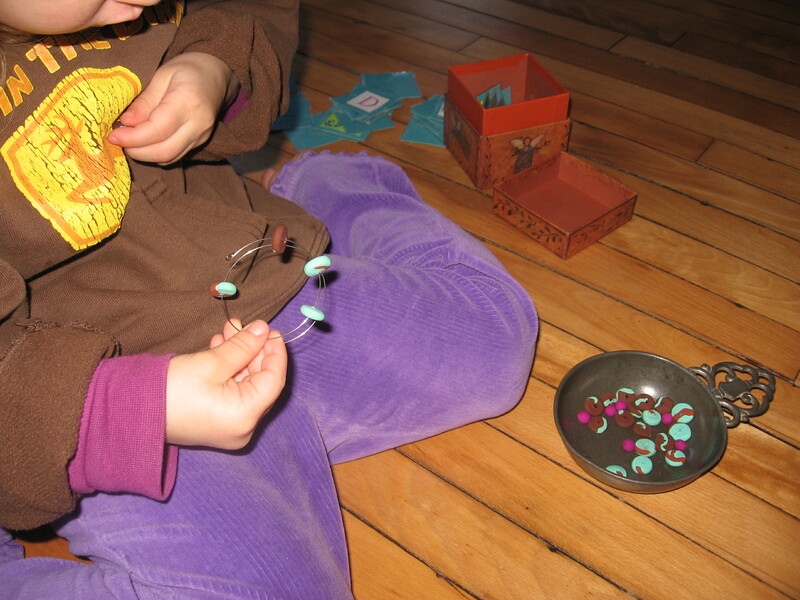 There are a million ways you can make beads and I used a very simple method. Knead the clay with your fingers until it warms up. Roll small amounts into ball shapes between your hands. 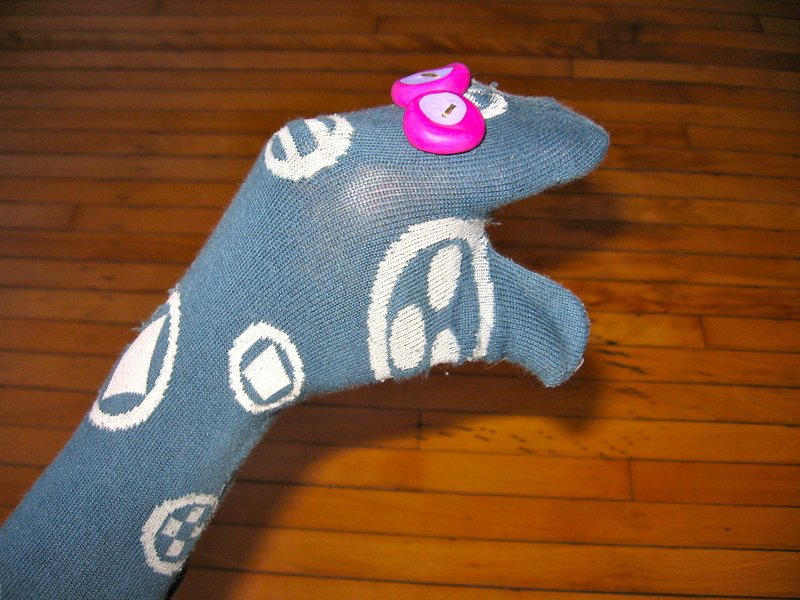 One way to add color without blending is to roll out a small snake shape, then attach it to the ball and roll between hands until it’s incorporated – but not blended. Pierce with pin or other fine tool for hole and place them on smooth cooking pan. Be careful NOT to let pieces touch each other while cooking. Cook according to thickness in a preheated oven at 275 degrees. 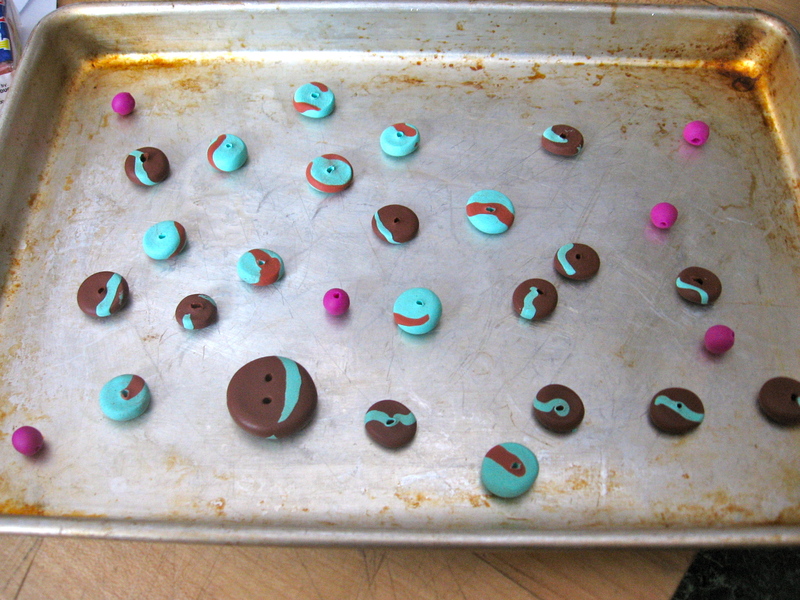 Sculpey packaging suggests 15 minutes for every 1/4″ thickness. You must be careful not to over-bake. Remembrance Memory Wire is great fun to use as it holds it’s shape. 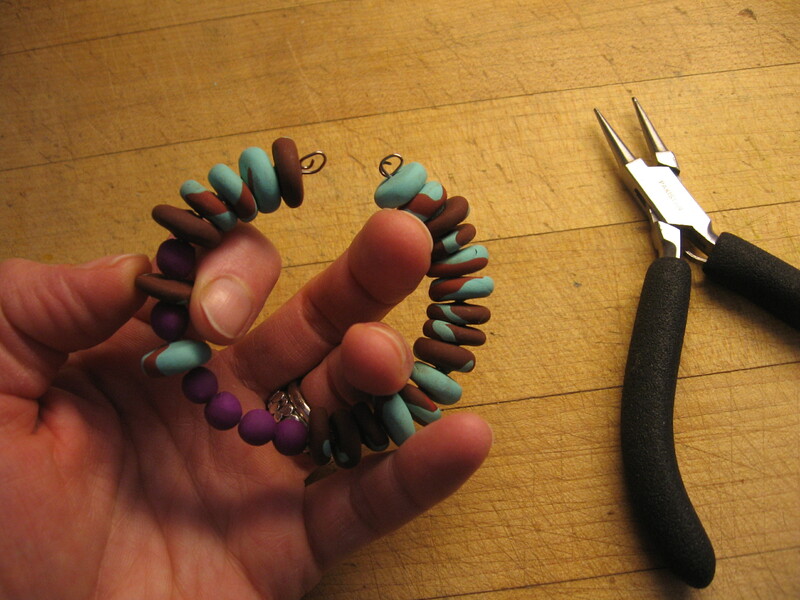 Using some wire cutters and needle nose pliers I cut off a section and curled the end to keep beads from falling off. 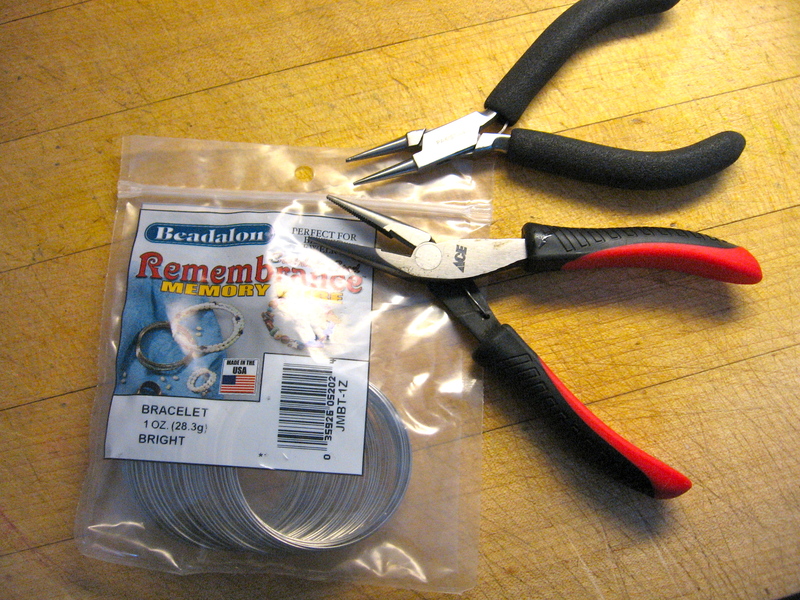 Once finished stringing the beads, I trimmed the excess wire with my cutters leaving about 1/2″ to curl with the needle nose pliers. 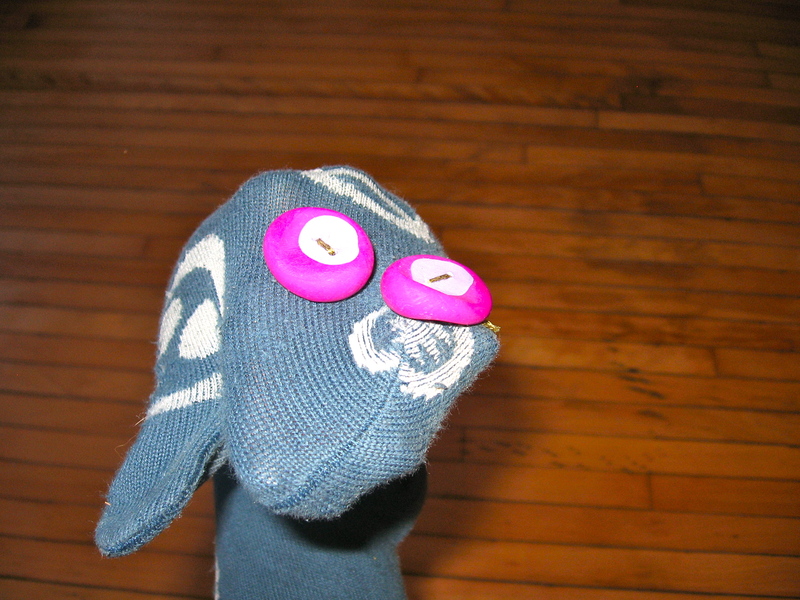 Below are some Sculpey buttons which became eyes for a sock puppet. I expect you could use them on clothing but you’d want to coat them with a waterproof varnish to protect them during laundering. oh, this is amazing. 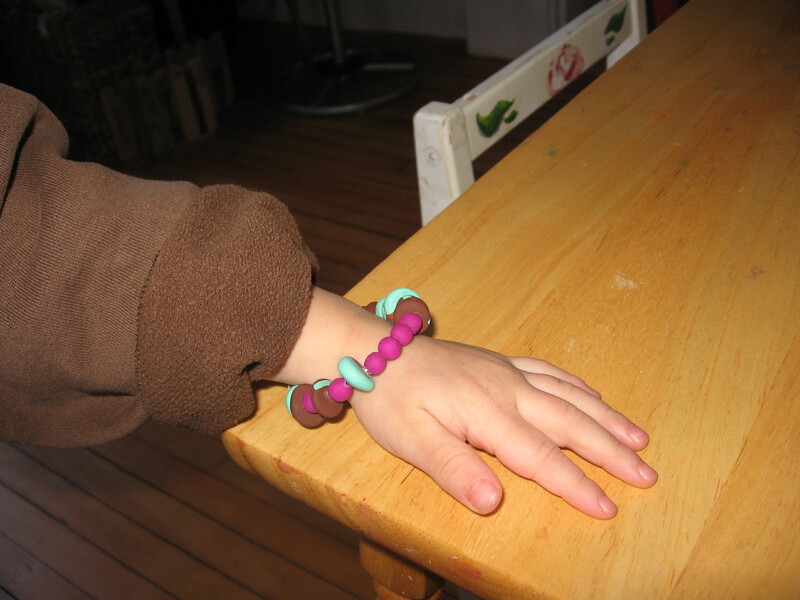 i LOVE the buttons, and LOVE the bracelet. 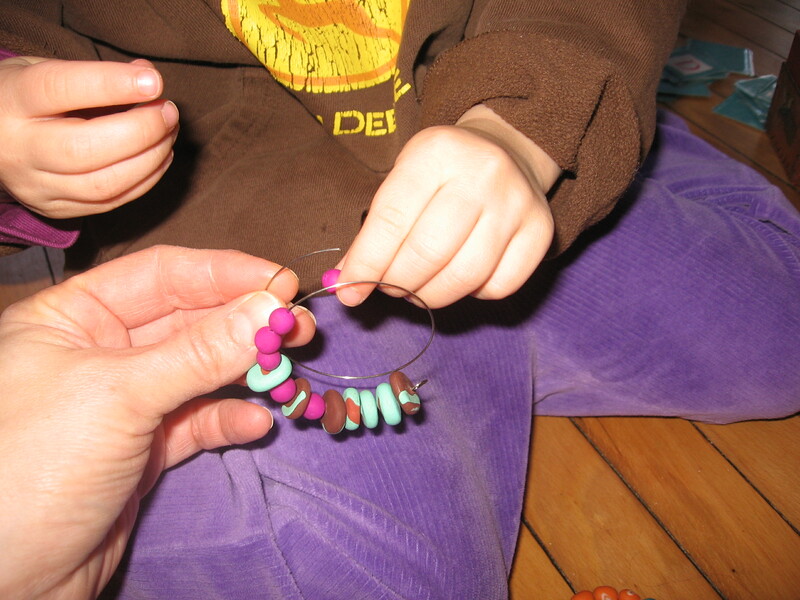 i am entranced watching the fine motor practice entailed here, and imagining the zillions of ways in a lifetime that fine motor dexterity makes so much possible, and leads to the beautiful. bless all of this. what a wonderful teacher, what a wonderful voice. you open up possibilities in the loveliest way. You are so incredibly talented. Thanks for all the great ideas. Simple and fun, the best way to go! I love that some of the buttons look like smiling faces.